Nice and Toulouse meet at Allianz Riviera, in a match for the 29th round of the Ligue 1. These teams have tied (1‑1) in the last head‑to‑head for this edition of the league, played on 05‑10‑2018. At this stadium, the head‑to‑head history favours the home team, since they have a record of 3 wins and 1 loss in the last 4 matches. However, the last time these teams met at this stadium, on 03‑02‑2018, in a match for the Ligue 1, Toulouse won by (0‑1). The only goal of the match was scored by M. Gradel (67' ). In this match the home advantage may play an important role, as both teams present significant differences between home and away performances. The home team is currently in the 9th position of the league, with 40 points won, after 11 wins, 7 draws and 10 losses. In the penultimate match, they won in a home match against Strasbourg, by (1‑0). In the last match, they lost in an away match against Olympique Marseille, by (1‑0). This is a team that is often stronger at home, with the help of its supporters, so they usually make good use of the home advantage, since in the last 30 matches they register 4 wins, 4 draws and 7 losses in away matches; against 8 wins, 3 draws and 4 losses at their stadium. 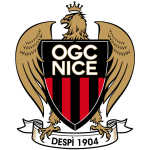 For the league, Nice won 20 points out of 30 possible points, after 6 wins, 2 draws and 2 losses in the last 10 home matches. In this competition, they have a sequence of 4 wins in the last home matches and they haven't lost any of the last 8 home matches. There are a few recurrent results in their home league matches at half‑time: 1‑0 (5 out of 13 matches) and 0‑0 (5 out of 13 matches). 10 of their last 13 matches for this competition have ended with Under 2,5 goals, so there is a tendency for few goals in their home matches. They have conceded the first goal in 14 of their 28 matches for this competition, and have only turned the score around in 1. In the last 13 home matches for this competition there are 2 periods that stand out: they have scored 4 of their 11 goals between minutes (76'‑90'); they have conceded 4 of their 11 goals between minutes (76'‑90'). Nice go to this game with a 1-0 reverse on the way to Marseille, adding to their third defeat in the last four matches of the French championship. However, we point out that homemakers have 4 straight wins in their stadium. Coach Patrick Vieira should play in his usual tactical scheme, helping to maintain possession of the ball and attacks paused by the flanks. Allan Saint-Maximin is Nice's top scorer with 6 goals conceded. For this game the coach does not have Jallet and Ganago, both injured. Confirmed Lineup: W. Benítez, C. Hérelle, M. Sarr, Y. Atal, O. Boscagli, Dante, W. Cyprien, A. Saint-Maximin, A. Tameze, J. Makengo, Danilo Barbosa. The away team is currently in the 15th position of the league, with 31 points won, after 7 wins, 10 draws and 11 losses. In the penultimate match, they lost in an away match against Olympique Lyonnais, by (5‑1). In the last match, they won in a home match against Guingamp, by (1‑0). This is a team that usually gets better results in away matches than at home, since in the last 30 matches they register 5 wins, 3 draws and 7 losses in away matches, with 13 goals scored and 22 conceded; against 2 wins, 8 draws and 5 losses at their stadium, with 19 goals scored and 22 conceded. 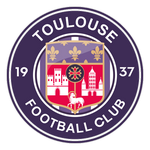 In the last 10 away league matches Toulouse has a record of 3 wins, 1 draw and 6 losses, so they have won 10 points out of 30 possible. Defensive consistency hasn’t been their best feature, as they have conceded goals in 7 of the last 10 matches, but their offense has scored consistently, as they have scored goals in 9 of the last 10 matches for this competition. This is a team that has had a hard time trying to score first. They have opened up the score in only 7 of the last 28 matches for the Ligue 1, they have reached half‑time in front in 6 of those 7 matches and have held on to the lead in 6. In 28 matches for this competition, they have conceded the first goal 19 times and have only turned the score around in 1. Toulouse come into the game with a 1-0 win at Guingamp, returning to the win after 6 straight games without a win in the French championship: Yaya Sanogo made the only goal of the team. Playing outside doors, visitors won only 4 of 14 games. The Toulouse ensemble presents a style of play unattractive to the general public, benefiting the defensive organization and the long balls for the attack. At the individual level we highlight Max Gradel, being this the best scorer of Toulouse with 10 goals signed. The whole squad is available for this game. Confirmed Lineup: M. Goicoechea, C. Jullien, Issiaga Sylla, G. Shōji, K. Amian, Manu García, I. Sangaré, M. Dossevi, K. Sidibé, Y. Sanogo, M. Gradel. The odds of the meeting are a big favor to the Nice side, and we agree. In addition to playing at home, the home team has high-quality players, hoping to dominate and hold the best chances to score goals. On the other hand, the visiting club has one of the worst performances out of doors. Having said this and taking into account these factors, risking the favor of the locals in this game is a good option.